That particular Wednesday served as a breather for me. I felt that I deserve a stress-free break from home when I signed up for the Corregidor Adventure Challenge with some of the Pinoy Travel Bloggers Group members(PTB). I need to go to a place outside Metro Manila, but will not require me to stay overnight in a place. I really had fun playing with my newly-found travel buddies in Corregidor (and our team won yahoo!). Medyo ‘bitin’ nga when we went back to the Sun Cruises’ Ferry right after our mini-zipline adventure. It was a sunny Wednesday, typical tropical Manila day. We were tired because of the physical activities during the tour (most bloggers lack exercise! HAHA :P), but we really had a blast. 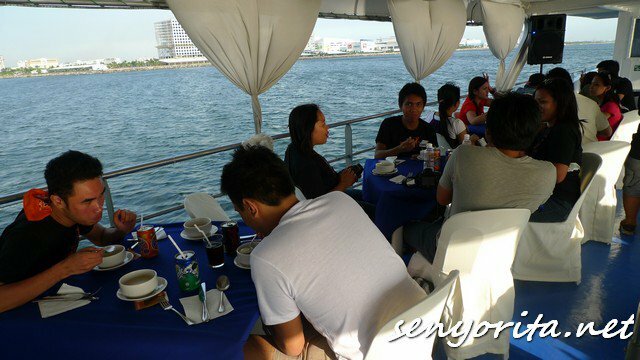 While we were on our way back to Metro Manila, Ivan and Sir Bobby Aquino of Sun Cruises invited us for the Manila Bay Sunset Cruise with Early Dinner. Who wouldn’t want to try it out, right? Nandu’n na kami, might as well grab the opportunity! 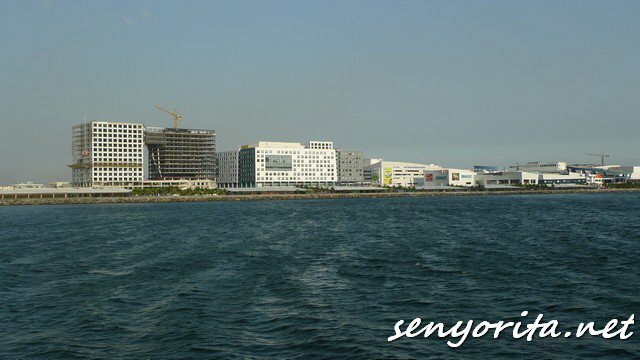 When I was an elementary student, I wanted to go to the Manila Bay because it is listed as one of the ‘Must-Visit Destinations in the Philippines’ on mySibika and Kultura book in Grade II. Majority of the Philippine Postcards being sold also features the Manila Bay Sunset. A few years ago, an indie film called ‘Babae sa Breakwater’ starring Katherine Luna was partly shot in Manila Bay and you can really see the sad reality of the current state of its surroundings specifically on the people living within the area. I am quite surprised though that Manila Bay improved now in terms of cleanliness. 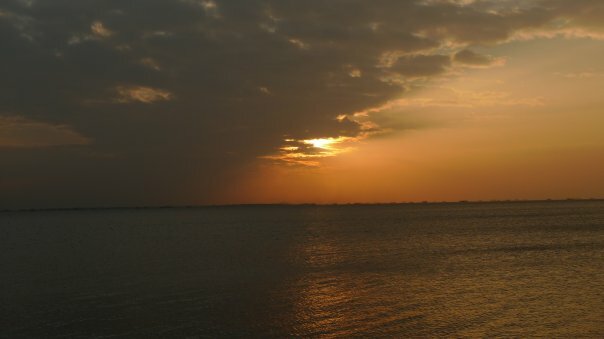 Also, photographers claim that the Manila Bay Sunset is the best. 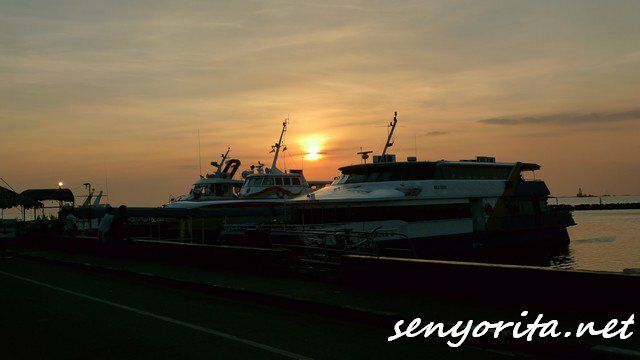 For only Php550, one can avail the Manila Bay Sunset Cruise inclusive of dinner. 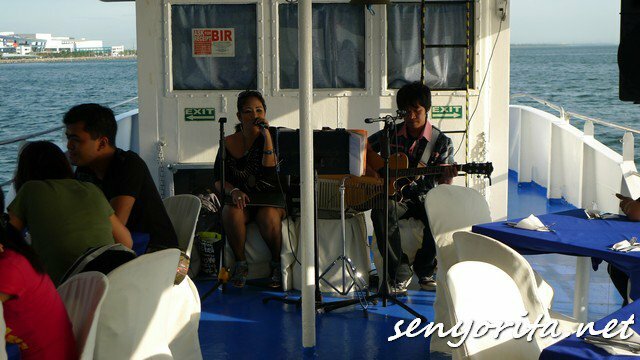 An acoustic duo performs some of the latest love songs while the cruise is ongoing. 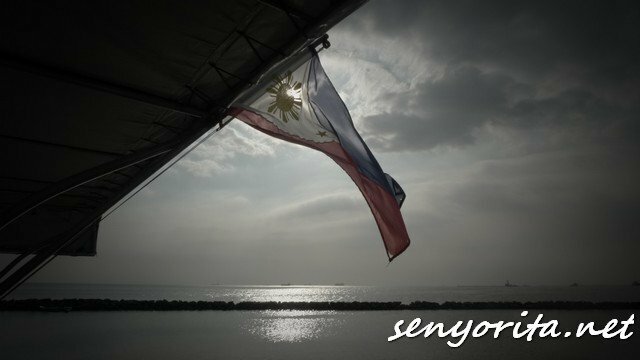 While I was seated with the bloggers while waiting for our food, I got attracted to the Philippine Flag raised at the back of the ship. When I was a little kid, I had this collection of Philippine Flag memorabilias. I placed them in a Centennial Bag souvenir in 1998 but since Pangasinan is a favorite hangout place of typhoons, some of my most-prized possessions got lost. I took a photo and looked around my surroundings and felt like a total stranger to Metro Manila. As the cruise goes on, the passenger can take a glimpse to some of the tallest buildings in the Metro. Of course, the most popular landmark is the SM Mall of Asia. I am amazed with the different buildings I saw – they vary in size, colors and shapes. I can compare them to some of the probinsyanos (like me) who once had this ambition of going to Metro Manila and work in the corporate world. It’s funny to think that I am no longer that idealistic. I am not even sure if that is a good thing or not (Uh oh, i’m becoming Emo again!). Now let’s go to the romantic side of the Manila Bay Sunset Cruise 😛 We saw this couple who were also on board that day. I think the guy surprised the girl by bringing her to Manila Bay instead of the usual restaurant setting that most Manilenyo guys find romantic. They stood up and embraced each other as they watch the sun set. It’s like depicting that no matter what happens within the duration of their relationship, they will still hold on to each other hoping that the sun rises tomorrow. Php550 for a cruise inclusive of dinner is a really good deal! Thanks for sharing your wonderful experience with us. PS: I think some couples also choose this location as a backdrop for their weddings. Good job, Mica. You just reminded me I have another backlog! haha. Seriously, I like the flag picture. Very nice! Balik tayo dyan minsan, with PTB friends uli. 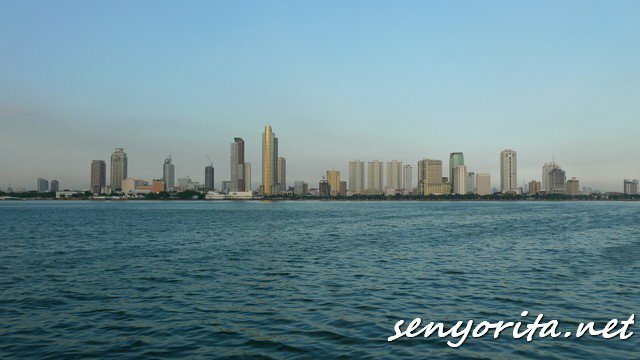 I liked how you observed the romantic side of Manila Bay. Hindi ko kasi napansin yun. Hehe. love the pics! relaxing and romantic nga ang magcruise sa manila bay. sinong naaalala mo sa maglovers na nakita natin? hehe! i agree. the manila bay sunset is still the best i have seen. this place inspired me to start taking pictures! wonderful post! ive been meaning to try this.. but didnt see much (reviews) on the net. how was the food? i just would like to know. how was the food? Ok lang naman, Not bad, not special. You always have such interesting adventures. I’m jealous!